In a victory for voting rights advocates, a federal court ruling ensures some voters removed under the "use it or lose it" law won't be shut out on Election Day. 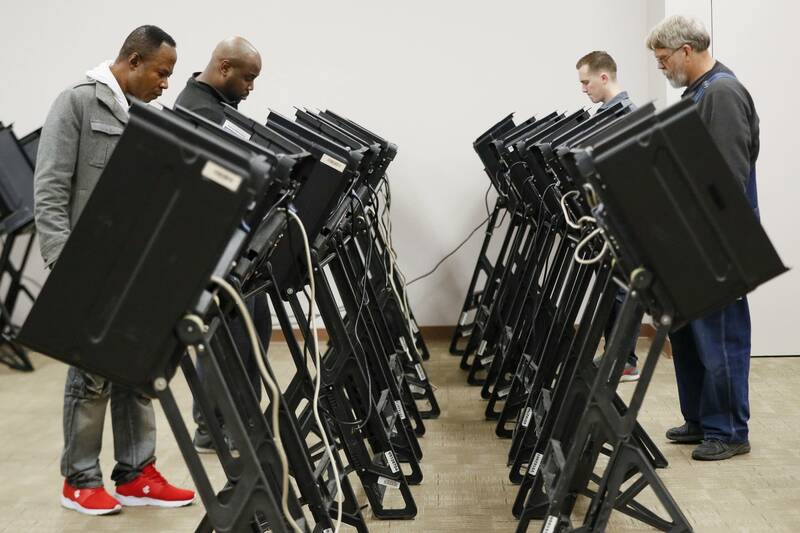 Some Ohio residents purged from voter rolls for not voting in previous elections will be allowed to vote under a ruling this week from a federal appeals court. The Sixth Circuit U.S. Court of Appeals in Cincinnati ruled that Ohio election officials must count any provisional ballots cast by voters removed from the rolls between 2011 and 2015 for not voting in prior elections. Ohio is one of at least nine states that employs a "use it or lose it" provision, under which failure to vote in a single election can trigger a process that ends with someone's removal from the voter rolls. APM Reports revealed in late October that a handful of states had purged hundreds of thousands of people from the voter rolls mainly for not voting in previous elections. The APM Reports analysis of state and federal voting data estimated that 107,000 people were purged from the rolls in Georgia under "use it or lose it" in 2017 alone. The analysis also estimated that about 50,000 people had been removed in Ohio in the 2016 election cycle under the policy. The APM Reports analysis was the first estimate of how many people have been affected by the purging of infrequent voters. The U.S. Supreme Court ruled in June, in a controversial 5-4 decision, that "use it or lose it" policies don't violate federal law. Typically, a state will send notices warning non-voters that they may be purged. But voting rights advocates worry that people may miss these notices, and then be shut out of voting when they show up at their polling location only to find out they're no longer registered. Advocates say voter purges, including those done under "use it or lose it," could affect the outcome of close races for governor in Georgia and Ohio. In Georgia, Republican Secretary of State Brian Kemp, who's overseeing the election in which he's running for governor, has drawn national scrutiny for what critics say are his efforts to suppress the vote. Georgia has canceled the registrations of 1.4 million voters since Kemp took office in 2010 in addition to closing polling places and enforcing an "exact match" law that's held up the registrations of thousands of voters because the names on their voting forms didn't precisely match other government records. 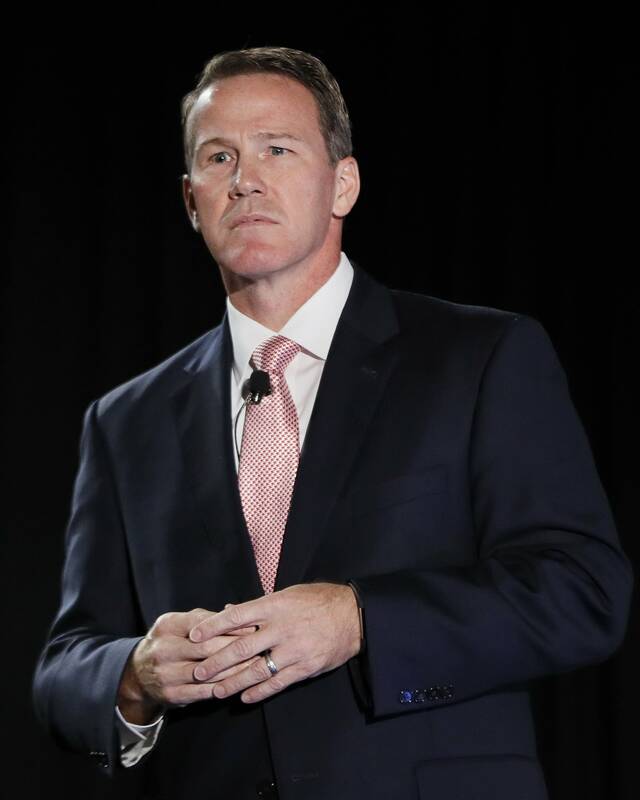 Ohio Secretary of State Jon Husted, who's running for lieutenant governor this year, has received less attention than Kemp, though his office has overseen the purging of tens of thousands of voters under "use it or lose it." The Sixth Circuit ruling was an offshoot of the litigation that resulted in the Supreme Court decision in June. In 2016 the A. Philip Randolph Institute, a voting rights advocacy group, sued Ohio on behalf of Larry Harmon, a Navy veteran who'd skipped several elections and showed up at the polls to vote in November 2015 to find he'd been purged. The Supreme Court sided with Husted and Ohio officials. But there was an outstanding legal claim that wasn't part of the arguments before the Supreme Court over whether the notices sent by Ohio properly informed people that their registrations would be purged if they didn't respond or vote. After losing at the Supreme Court, voting rights groups took up that more limited argument again. While that legal fight is still pending, they asked the Sixth Circuit to force Ohio election officials to count provisional ballots cast in the mid-term election by anyone purged between 2011 and 2015, when the disputed notices were used. The ruling only applies to people purged during those years who haven't moved out of their county and haven't already re-registed. Activists estimated it could affect several thousand potential voters. Husted's office has indicated it will comply with the order. "This has been a hard-fought victory for Ohio voters," said Freda Levenson, legal director for the ACLU of Ohio, in a statement. "We are thrilled that the Sixth Circuit responded to this emergency, and ruled to allow unlawfully-purged voters to vote this November. Turnout next week could break historic records. This decision allows eligible voters to participate. This is a bright moment for democracy." APM Reports found at least nine states that have "use it or lose it" policies, meaning they use a person's decision not to vote in at least one election as a trigger for removing that person from the rolls even though he or she had been registered. Voting rights advocates say that this approach doesn't provide any evidence that people have actually moved and could disenfranchise voters who would otherwise be eligible. The nine states are Alaska, Georgia, Montana, Ohio, Pennsylvania, South Dakota, Oklahoma, Oregon and West Virginia. Of those, Georgia and Ohio are the places where the policy has been most contentious. In June 2018, the U.S. Supreme Court ruled that "use it or lose it" purges didn't violate federal law. *Estimates based on state and federal removal and registration data and migration estimates from the U.S. Census Bureau American Community Survey. **Georgia officials have pursued 19 election fraud cases in the past 20 years; seven of those cases resulted in a criminal conviction, according to the Heritage Foundation, a conservative think tank. Additional reporting by Kelly Busche.